When I sent these bad boys off to Jason some months ago, all of them were an absolute wreck. 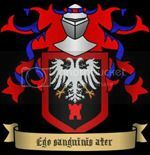 But I got them back a few days ago, and I want you guys to check out the artistry and the talent of Mr. Jason Gone and his (now world famous) rustications! 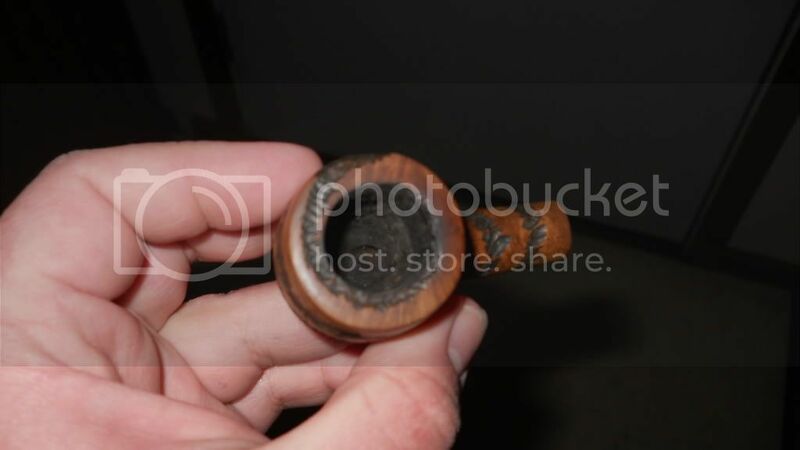 First up we have a little GBD pot shaped pipe. 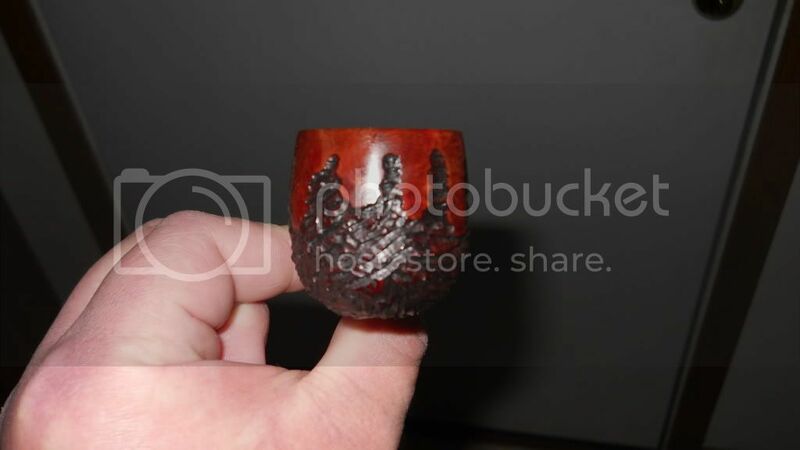 It was OK, nothing spectacular, until Jason got hold of it and carved an awesome drip with a great looking red stain. 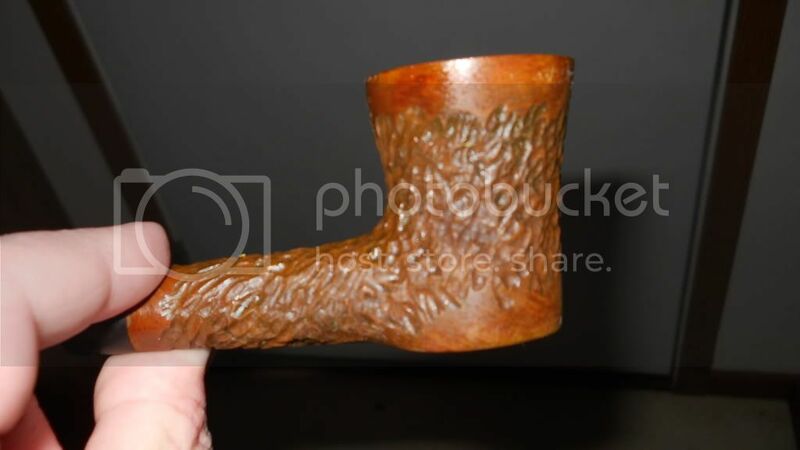 This GBD is going to be an aro smoker, I believe. Looks terrific. Next up is a beautiful Ben Wade Poker. 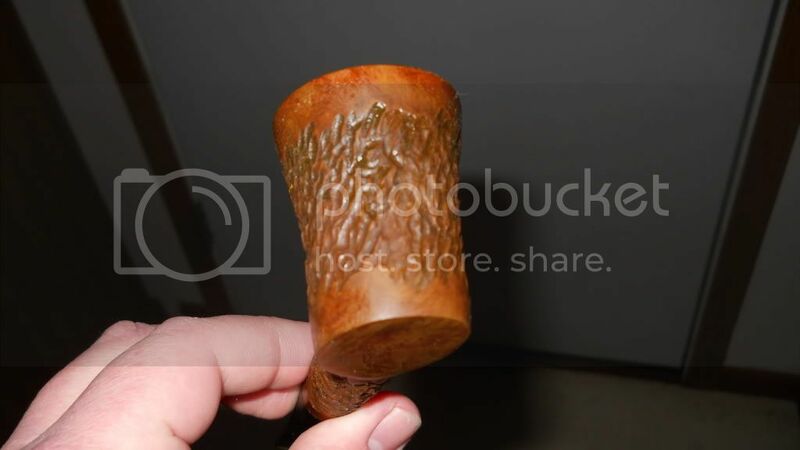 When I got it, there were some horrible discolorations in the wood, and the shank had a tiny imperfection in it that I asked Jason to cover up. What he did with it is phenomenal. 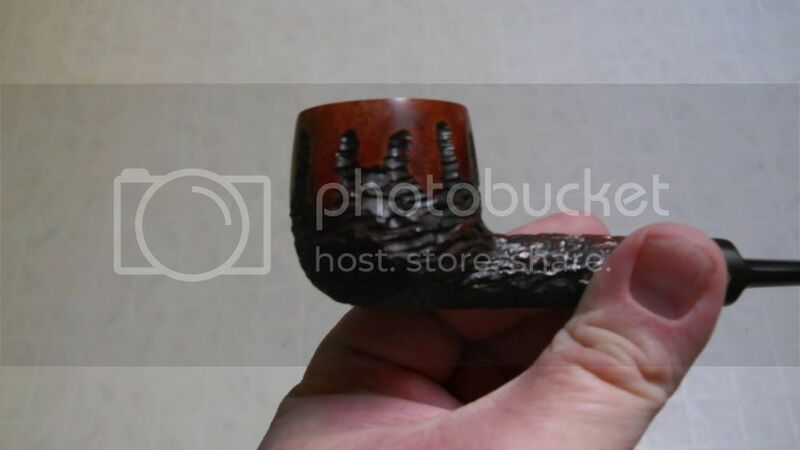 The look of this pipe almost reminds of a tree stump, and I have affectionately named this pipe Treebeard. Outstanding. Last up is my favorite of the whole bunch. This is a little GBD Canadian (?) 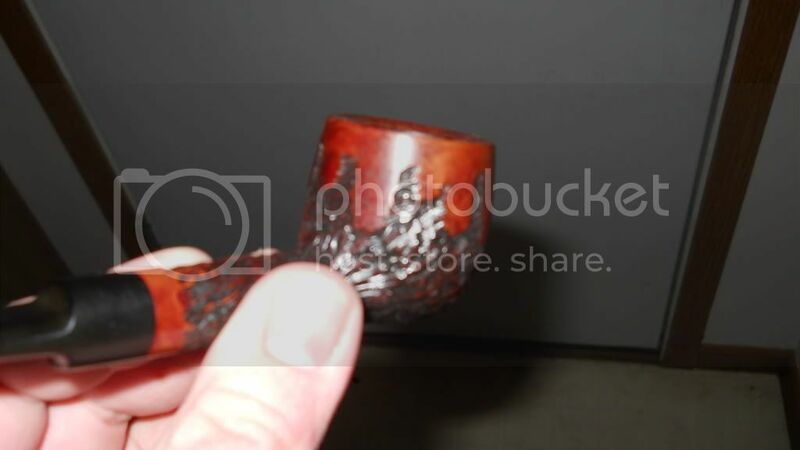 shaped pipe that I tried to remove the finish on myself. By the time I got done mauling it, it looked awful. The wood was discolored, the finish was uneven, and there were horrible splotches everywhere. Jason really brought this back from the dead. 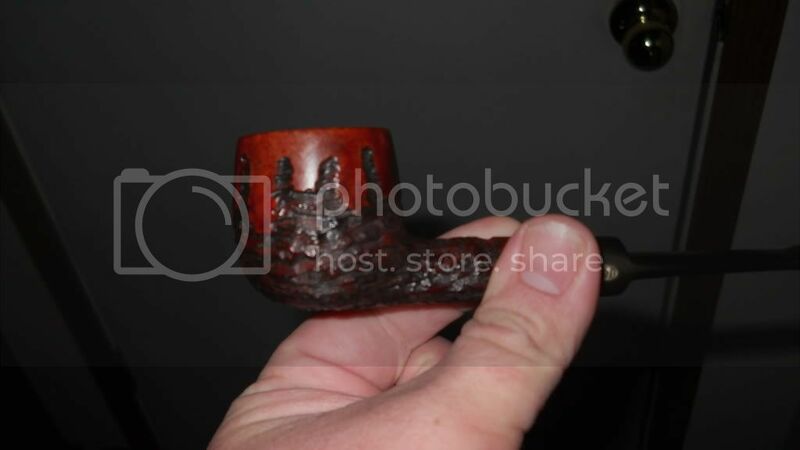 The stain on the shank is glossy and beautiful, and the full rust job on the rest of the pipe is awesome. 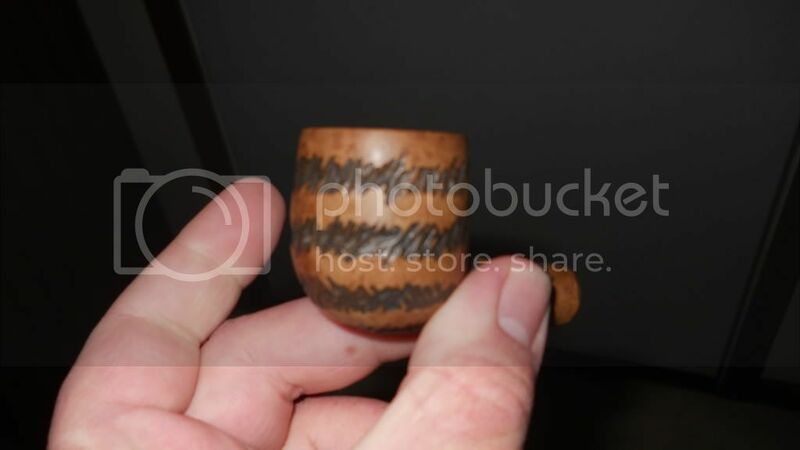 And because Jason is just a hell of a nice guy, he sent me a bonus GBD pipe with a cool swirly rustication job. Rust starts on the rim and spirals its way down. Jason, you are an artist and a master of your craft. Thank you so much! Hes definitely talented. If he lived by me,I'd get a tattoo from him. Totally agree. 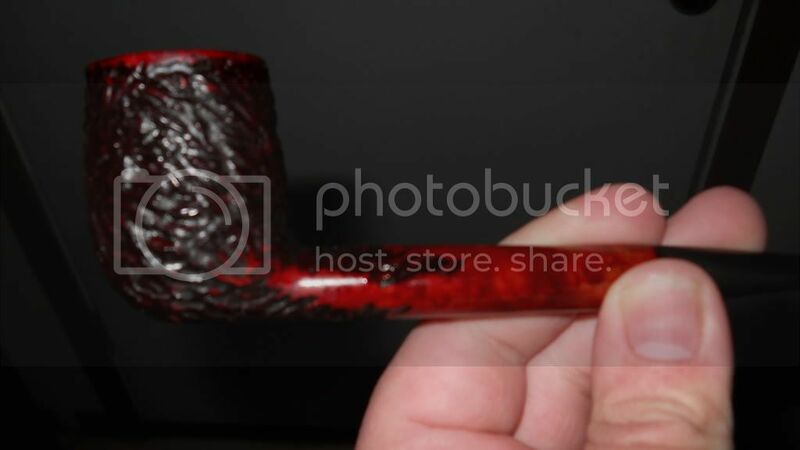 It is awesome, and I am waiting to find the right English blend to smoke in it because this pipe is destined to be an English smoker. I love that GBD with the drip! It looks amazing!!!! 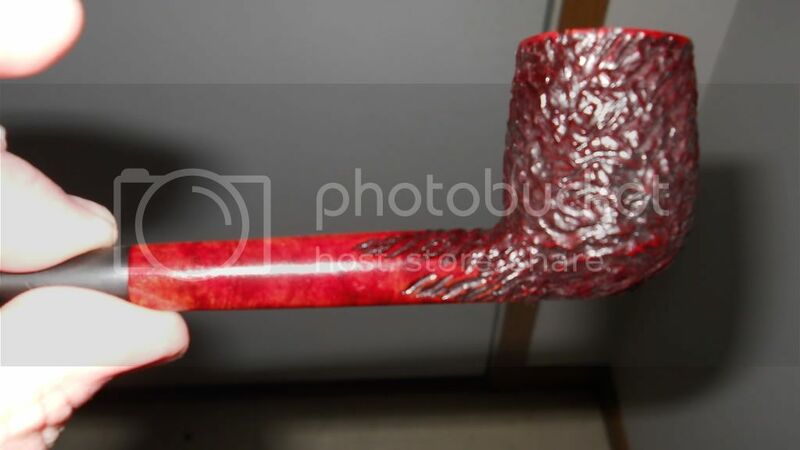 The GBD with the drip was the only pipe that wasnt a complete mess when I bought it off ebay, but I still figured that it would look good after Jason worked his magic on it. The only one of these that I have smoked thus far is the GBD Canadian. I am looking forward to trying out the others. 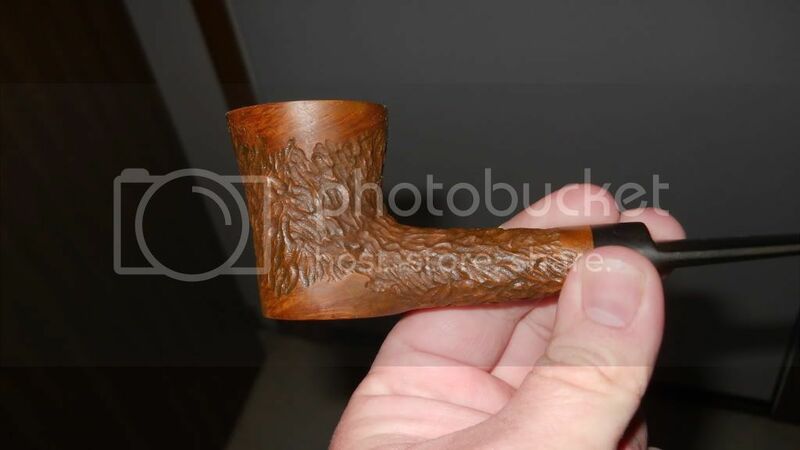 The GBD with the swirl still needs some inside bowl work done and the stem could use a good once over. Dam those look great I love the spiral. Those look great! Jason does some wonderful work. Jason Gone for the Win again!